Sheep are incredibly intelligent animals with some impressive social skills. 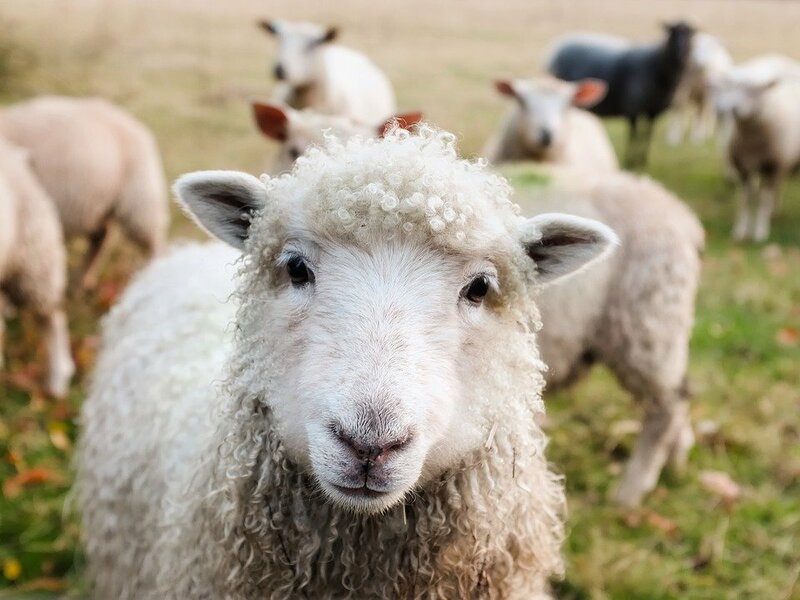 Previous research on the behavior of these animals showed that they could recognize the faces of other sheep. This led to another question, and researchers started wondering if they were as good with human faces as well. The results were surprising, as it turned out they were. The initial purpose of the research was to look at the effects of Huntington’s disease on sheep. One of the symptoms of this condition in humans is their inability to recognize faces. However, researchers couldn’t tell if these animals could really recognize human faces, so they decided to investigate this first. For the study, the sheep were shown two images of human faces, one of a celebrity, and the other one of a similar-looking person. If they chose the right one, they would receive a reward in the form of food. However, if they opted for the wrong one instead, the researchers would issue a noise, and then the animals would be forced to wait. This way, they quickly learned they had to choose the picture which displayed a celebrity. After a few attempts, they could tell which image was the one of the celebrity, even if the person in the other image looked really similar, belonged to the same ethnicity, and had the same gender. Then, the tasks got harder. The researchers switched the angle of the celebrity’s face, and displayed images of these people in different positions. This way, they wanted to see if sheep could understand the entire concept of a face, both in 2D and in 3D, rather than just memorizing a picture. Among the celebrities the animals had to identify, there was Barack Obama, Jake Gyllenhaal, or Emma Watson, but also their caretakers. All the time, they chose the right image. Sheep are extremely intelligent animals, with impressive social skills. This might seem unlikely, given the well-known phenomenon of herd mentality. However, whenever an individual is taken out of the group, it can surprise us with its remarkable cognitive skills. This study has been published in the journal Royal Society Open Science.